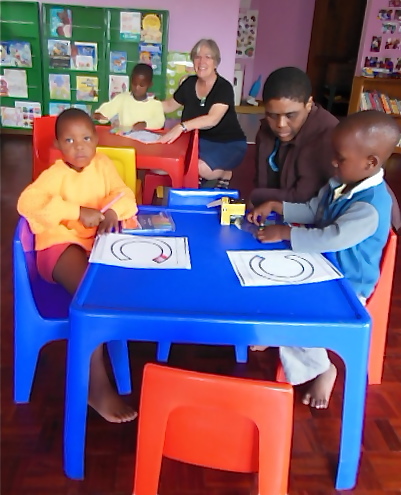 The centre also encompasses a preschool, which the children aged between 3 and 6 attend each weekday morning. The pre-school was started in 2006. The children learn the alphabet, some basic numeracy and fine motor skills. This year we have 6 students in preschool. Our teacher this year is Simangele. 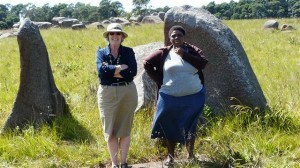 We have hired her locally, a lovely Swazi lady, and is nice as she can speak both Siswati and English to the children. Barbara, a friend from Canada, who lives here part-time, also helps when she is in the country. How we love it when she is in the country! She also helps tutor our school aged children with reading skills. She has been such a blessing through the years! 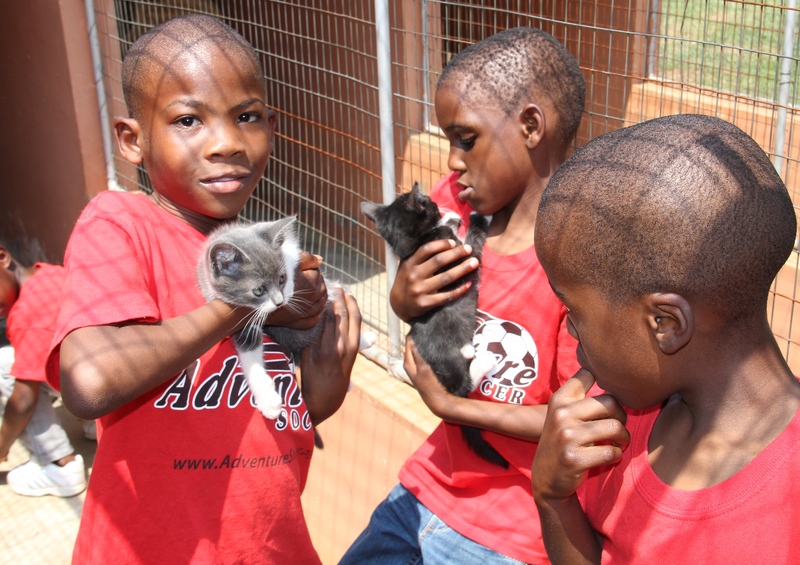 To find kittens, we went to SAWS, our animal welfare society in Swaziland. 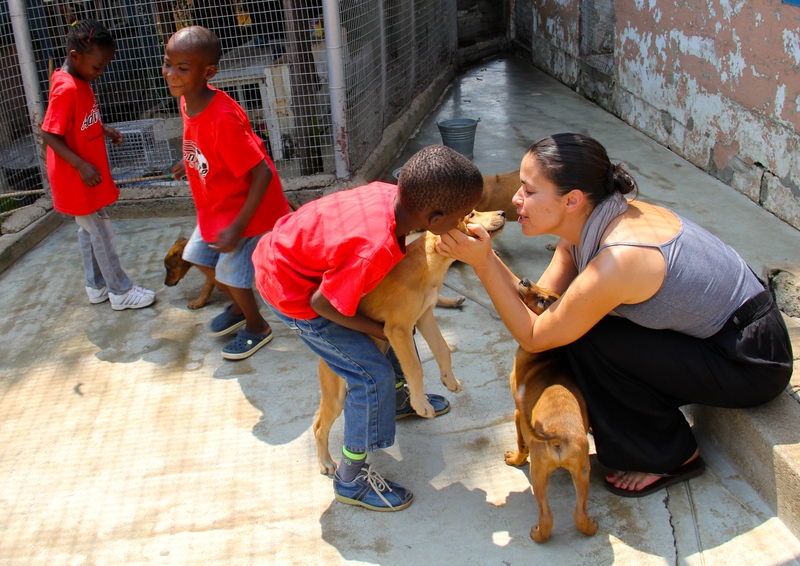 But of course, we could not resist the puppies! So lots of time was spent with the puppies. 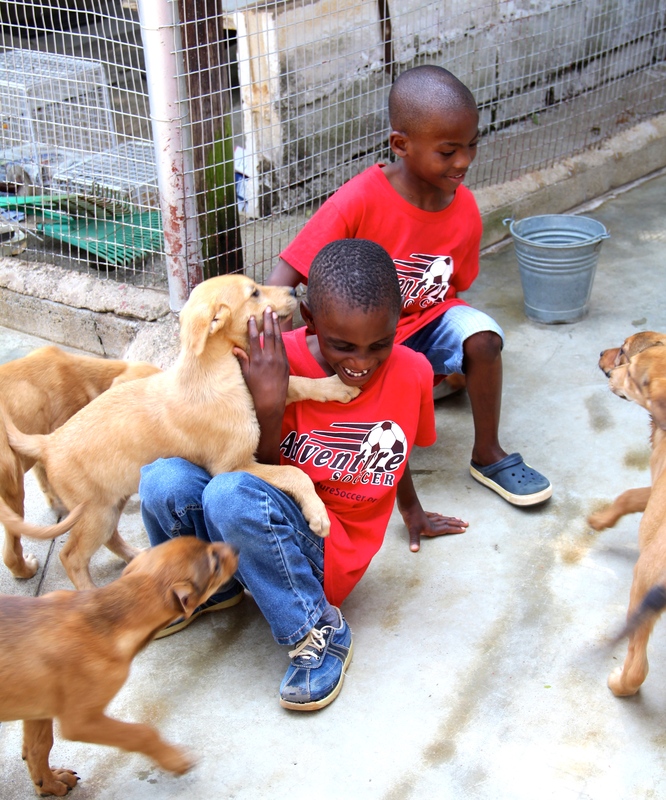 boys & puppies & kittens……..what can make life any better? It was lovely to have Daniela with us. It was to be her last field trip with the kids before she left the country. How she will be missed! 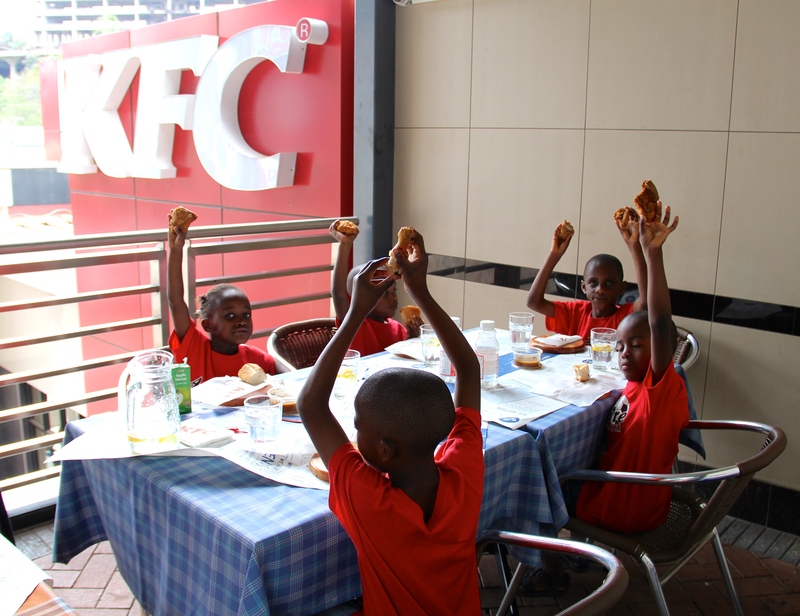 The outing was ended with lunch at KFC. A perfect ending to a great outing!